I’m feeling a tinge of sadness as this is my last item from my most recent BNTnews beautybox, but I’m pretty excited to tell you guys about it. Plus I get to go back to all my beauty reviews coming soon, look forward to a blush tutorial and fall look soon! Anyways, today I’m reviewing one of my most favorite brands that I’ve received as a BNTgirl, iSOi which stands for “I’m SO intelligent.” I love their Bulgarian Rose based brand, it’s natural and beautiful. See my past review of their blemish care serum here. I was excited because this was a multi-care product, not only does it reduce the appearance of your pores it also helps control sebum (oil and moisture control) and remove dead skin cells (exfoliation, woo). 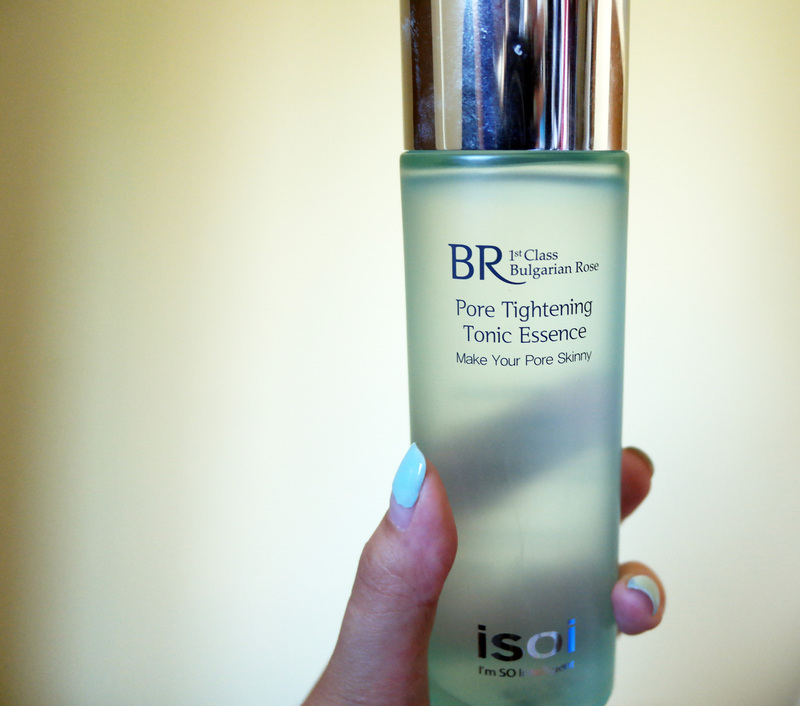 The product is a multi-tasker, it’s a toner and an essence. With all this skin care hype nowadays and multi-product routines required for it, a 2-in-1 product cuts time efficiently. Using this product is easy, like any regular toner, wet a cotton ball and just wipe evenly across your face. Ta-da! Finished, your face is left feeling refreshed and moisturized! It leaves that same rose-y scent on your face that the serum gave me plus and nice cooling sensation as if a weight has been lifted off your face. Not to mention in comes in the beautiful glass containers that all iSOi products come in. Nice sturdy glass that feels cool against you skin. Using this product for a week, I think I’ve actually noticed my pores getting smaller than what they were before. So that’s nice, their logo “make your pore skinny” works. I just love the scent, the feel and of course the container. I’m a fan of nice glass containers. Mason jars what what. Overall I find this quite a wonderful product, yay more multitasking products, lazy girl skin care 101. I give this bottle of rose-y love a 9/10 on my scale of awesome. You can find it here for $34.24, totally worth the money to me.